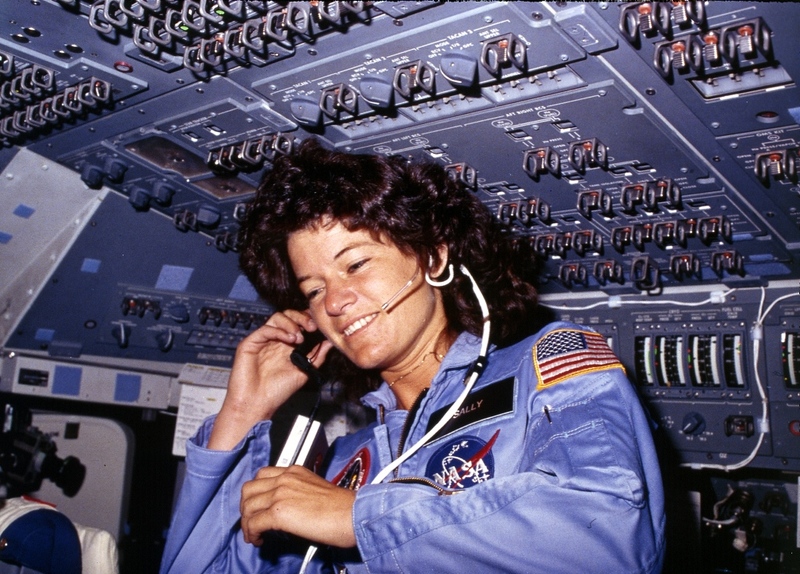 Today, May 26, 2015, would have been U.S. astronaut Sally Ride’s 64th birthday. 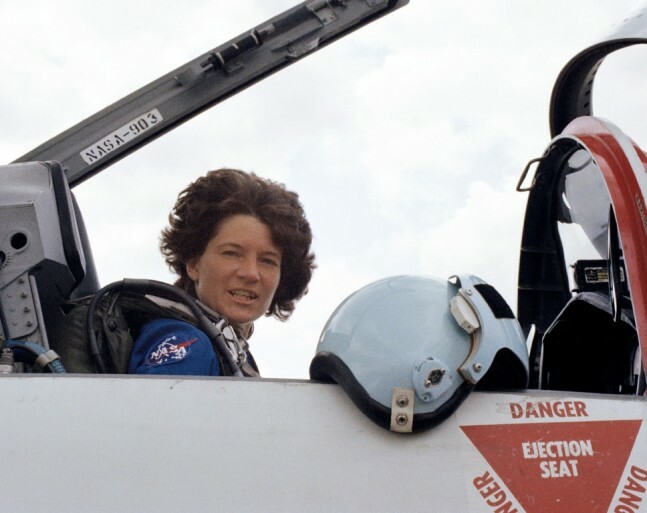 Although Ride is mainly known for her tenure as an astronaut, Ride was much more than just the first U.S. woman to venture into the blackness of space. Her legacy is something that we at SpaceFlight Insider wanted to provide a review of Dr. Ride’s accomplishments on this, her birthday. Dr. Sally Ride was born on this day in 1951, she spent her youth interested in science and tennis. She was a nationally-ranked tennis player by the time she entered college to study physics and English as an undergraduate and graduate student at Stanford University in California. NASA had posted an advertisement in the college newspaper seeking “mission specialists” for the new Space Shuttle Program. Ride had not given any thought to being an astronaut due to it being a male-dominated field until she saw the ad. She, along with 8,000 other people, applied for and was accepted by NASA in 1978. Though the media focused heavily on her gender, Dr. Ride viewed her role as simply an astronaut and conducted her career at NASA with that view in mind. Ride worked in the development of the Space Shuttle’s robot arm, and also worked as Capsule Communicator (Capcom) during STS 2 and 3. Dr.Ride trained and eventually was selected to be part of the crew of STS-7. She became the first American woman and youngest astronaut to fly in space aboard Challenger on June 18, 1983. Dr. Ride was the first woman to use the Canadarm robot arm in deployment of two communications satellites and in retrieving a satellite. She also conducted, along with her crew, pharmaceutical experiments. She flew again in 1984 once more on board Challenger STS-41G and ended up with a total of 343 hours in space. “It is, because I think it depends on the way that you interpret that question. Certainly my most significant legacy will be that I was the first American woman to go into space. That’s very rewarding for me. And the more time that passes, the more I appreciate that. But some of things that I’m very proud of are my work on the robot arm, my work as a CapCom [Capsule Communicator], of course my two spaceflights, and the report that I did for NASA Headquarters,” Ride said in a 2002 interview with Rebecca Wright for NASA’s Oral History. 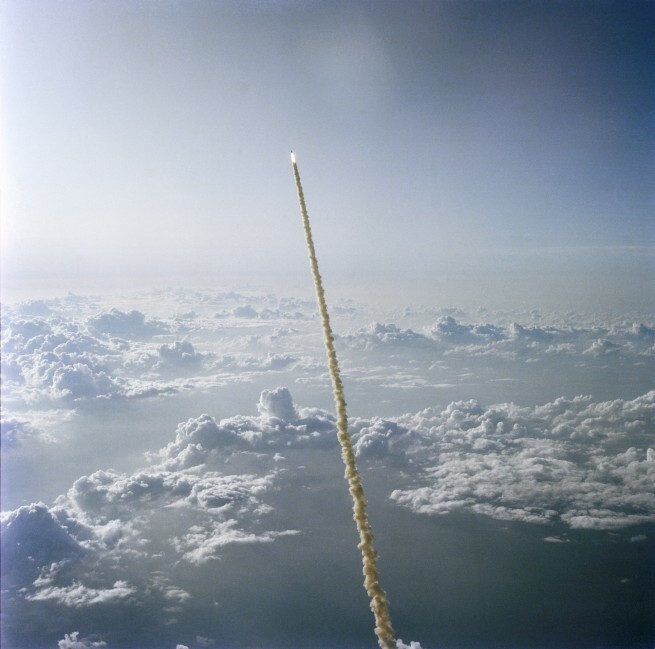 Dr. Ride was training for her third mission when Space Shuttle Challenger was lost in 1986 on mission STS-51L. She was appointed to the Rogers Commission to investigate the accident, heading the sub-committee on operations. Afterwards, Dr. Ride was assigned to NASA’s headquarters in Washington, D.C. While there, she founded NASA’s Office of Exploration and authored a major report titled NASA Leadership and America’s Future in Space. In 1987, Dr. Ride left NASA and eventually became a full time physics professor at the University of California San Diego (UCSD ). She also was the director of the California Space Institute. In 2009, Dr. Ride became a member of the Review of United States Human Space Flight Plans Committee, sponsored by the Office of Science and Technology. In 2003, shortly after the Columbia accident, Dr. Ride was asked to serve on the Columbia Accident Investigation Board. She is the only person to have served on both shuttle accident boards. Though she had no children of her own, Dr. Ride spent a significant part of her remaining years educating and inspiring young girls to choose science as a career. She wrote/co-wrote seven books directed towards children to introduce them to the wonders of science. Ride founded and was CEO of Sally Ride Science that creates science curriculum and publications for elementary and middle school girls. Dr. Ride passed away from cancer on July 23, 2012, at the age of 61. Her ashes were buried in Santa Monica, California, next to her father’s grave. Sally Ride Science continues on today, with her legacy serving to inspire young girls – something that her efforts continue to achieve – to this very day. Google honored Ride’s life of accomplishment by posting a Google Doodle, showing the scientist inspiring others.